Deep Cleansing Facials are a classic type of facial. This treatment includes a deep cleanse, deep exfoliation, steam, thorough extractions, facial massage, facial mask serum and moisturizer. Deep Cleansing Facials are a good choice if your skin lacks moisture and is prone to break outs. Your skin will be glowing, clean and fresh after your treatment – and very, very soft. Regular Deep Cleansing Facials will help slow the aging process and add suppleness to mature skin. • Makeup removal and cleansing of the skin. • Exfoliation by mechanical, enzymatic or chemical means. 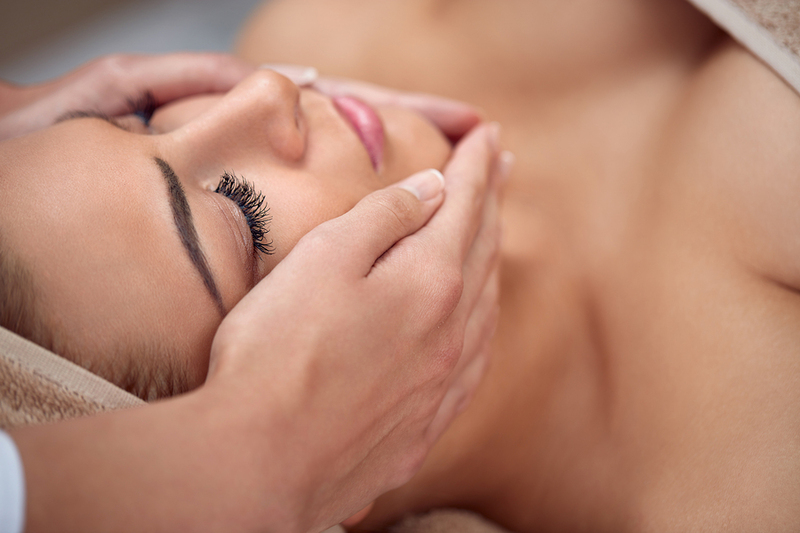 • Massage of the face and neck, to aid in relaxation and stimulate blood and oxygen flow to the skin. • Extraction of blackheads and other impurities, either manually (using gloved hands and cotton or tissue around the fingers with gentle pressure to remove the impacted pore) or using a metal extraction implement designed to clear blocked pores. • Application of products targeted to your skin type (dry, oily, mixed, sensitive, or mature). A deep clean facial is great for oily or problematic skin. If you suffer from acne breakouts often, this is a good solution for the problem. You will get to experience steaming, deep cleansing and facial extractions in just one hour of this facial session. Steaming will loosen the dirt and debris in the first layer of your facial skin. Cleansing will remove the impurities from your face, as well as soothe any irritations. Facial extractions will help remove any sebum that is clogging your pores. Additionally, you will also get a chance to try a mud mask, which will help tighten the skin. The final touch to the facial will be a soothing skin moisturizer. The moisturizer will provide sun protection for the face. After the facial, your skin will definitely feel invigorated and detoxified once more. If you are prone towards blackheads and clogged pores, and you find yourself manually extracting them at home, you are better off getting it done professionally. Extracting blackheads at home can lead to infection and scarring. If you and your dermatologist are working on acne with oral medications and topicals, a Deep Pore Cleansing Facial at GTL can complement that regimen.